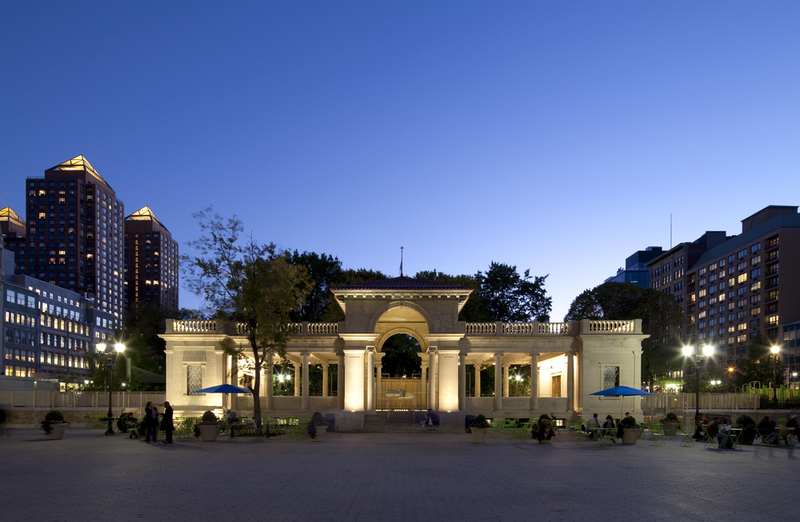 As part of a larger restoration project focusing on the north end of Union Square Park in Manhattan, the existing historic pavilion was carefully repaired and a new public restroom was created. The pavilion had fallen into serious disrepair and its public restrooms were not compliant with current accessible requirements. The restoration work includes converting the pavilion into a seasonal restaurant and moving the public restrooms outside of the structure. The new restrooms are located at the northeast corner of the park in a small, but robust structure. By distancing the new restroom structure from the pavilion, the historic character of the latter is respected. The siting strategy also gives the new restrooms a position of importance as the corner anchor of both the park and the new plaza. he new restroom structure is unapologetically modern while making a connection to the historic elements of the park through the incorporation of existing materials. The low walls of the structure are built of an ashlar stone to match the low wall of the park while the back of the structure is faced in a precast concrete panel that matches the scale and color of the limestone on the historic pavilion. 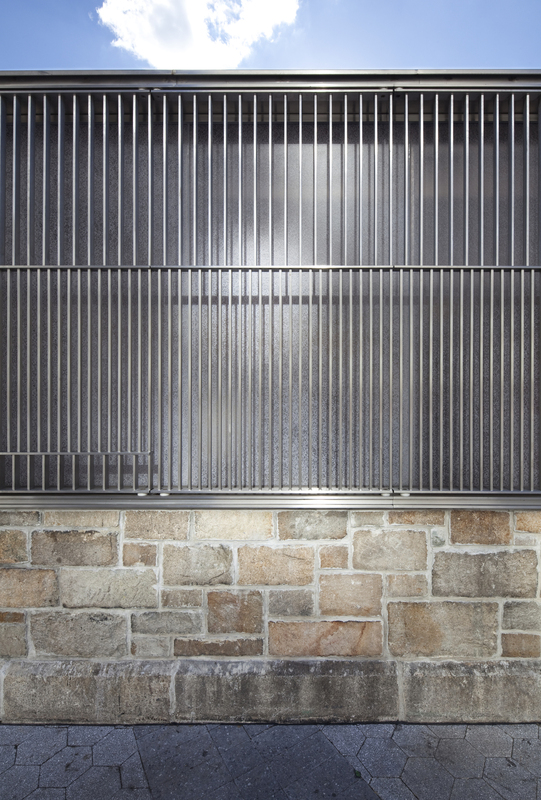 The stainless steel screen that wraps the top part of restroom structure is similar to the new fence and gate that define the playground behind the pavilion.